UV Lamp alternative to Millipore® ZLXUVLPL1. 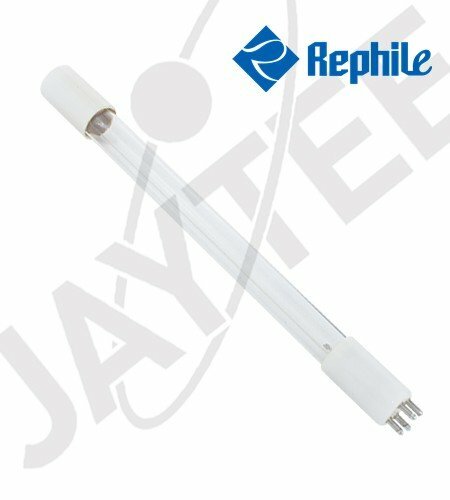 Part No: WP390001 Category: UV Lamps for Millipore®. Tags: 265011001, alternative, asm tankasmin, Elix 100, Elix 20, Elix 35, Elix 70, filter, millipore, rephile, RiOs 100, RiOs 150 and RiOs 200, RiOs 30, RiOs 50, uv lamp 254 nm, ZLXUVLPL1. This replacement UV lamp (like Millipore® ZLXUVLPL1) is designed to reduce the bacterial count to provide optimum water quality for bacteria-sensitive applications. Suits Millipore® Elix 20, Elix 35, Elix 70, Elix 100, RiOs 30, RiOs 50, RiOs 100, RiOs 150 and RiOs 200 water filtration systems.